On October 8th, I will be running the 40th Chicago Marathon as part of team Ronald McDonald House Charities. I’ve been going strong with my Monday workouts. I hopped on the spin bike again at the Y and continued to read for class. It was another speed work day with a total of six miles. I tried a new workout and did well, but not great. My target pace for the 800s were 8:00-8:30 and my splits were 8:02, 8:18, 8:28, 8:29, 8:44, 8:38. I hit the first four and missed the last two. I did a good job of running on each of my 90 second recovery splits though so I was pleased with the workout overall. 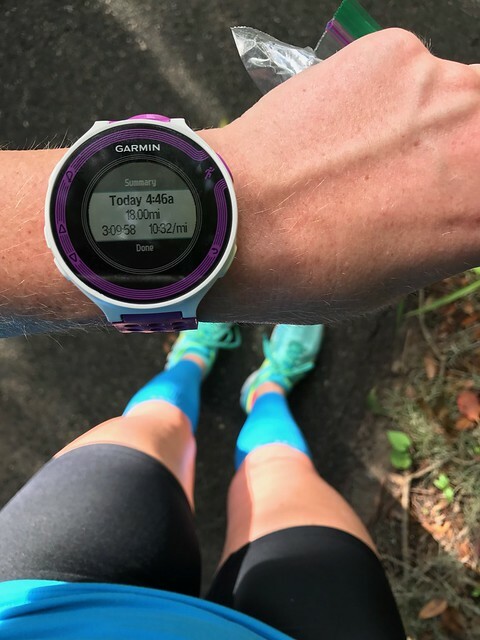 I attempted another marathon pace tempo run and didn’t do well for the second week in a row. My splits were 10:38, 9:54, 10:17, 10:53, 10:43, definitely not consistent! My goal for this coming week is to hit all of my tempo miles within 10-10:10. Heather and I caught up while we rode the spin bikes at the Y. The much anticipated long run was here. 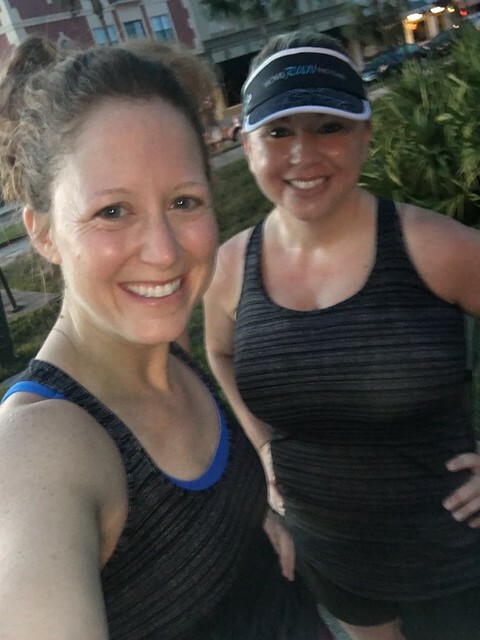 I picked up Michelle at 4am and headed to Oviedo to get on the trail. The first group started at 4:45am and we did 4 miles before heading back to meet up with the rest of the group. Once we were all there, we got on the trail to go out and back for the next 14 miles. After our first 4 miles, it was hard to get into the swing of it. The trail is great since it’s shaded, but it’s also pretty boring. We finally got into our groove at some point in the run. Our first check point was at McDonald’s so we had a potty and water break. Afterwards, we pressed on until our turnaround point where we still had 7 miles to go. We stopped at McDonald’s again which was good since my Camelbak was completely empty. Plain, ice cold water tasted so good at that point. 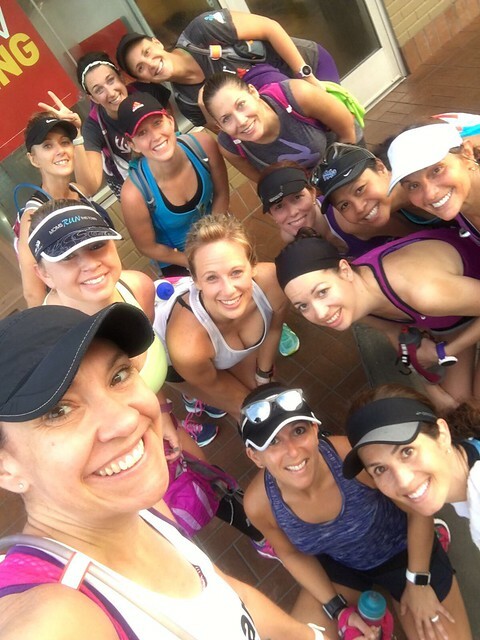 We headed back, chugged along, and finished out our run. I ran 18 miles! I was certainly feeling it by that point, but overall it was a great run. 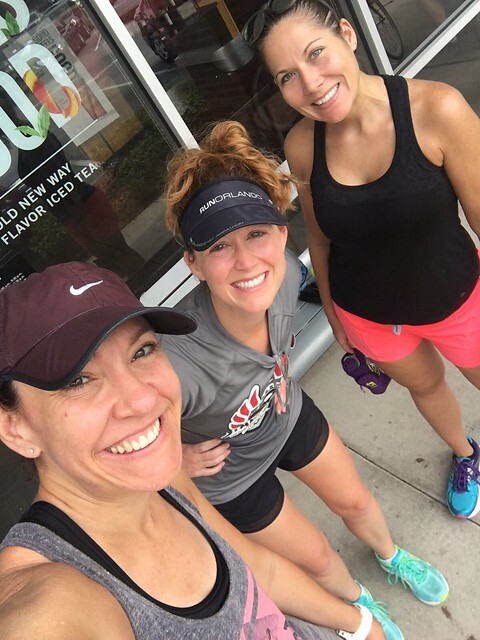 I slept in and met up with Michelle and Amanda for 5 recovery miles. 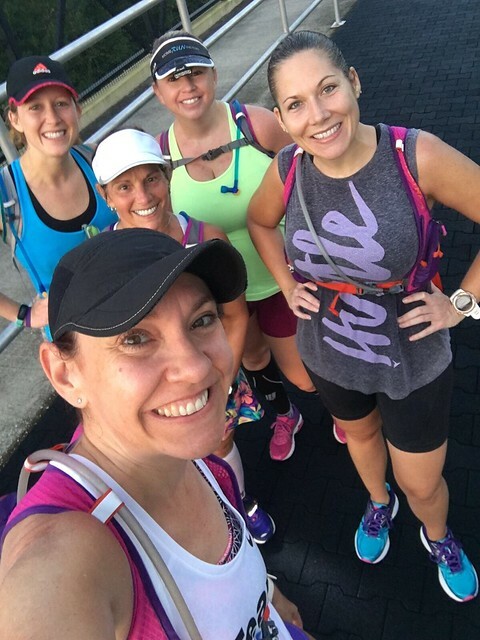 We ran, talked, and did a little bit of walking. It was good to get my legs moving as much as I didn’t want to. I am looking forward to shorter runs this week!